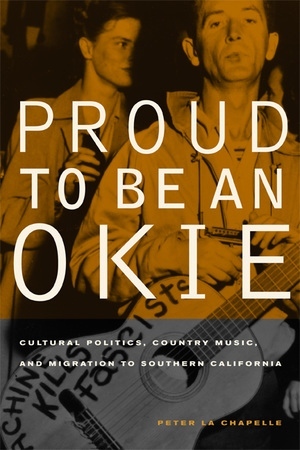 Proud to Be an Okie brings to life the influential country music scene that flourished in and around Los Angeles from the Dust Bowl migration of the 1930s to the early 1970s. The first work to fully illuminate the political and cultural aspects of this intriguing story, the book takes us from Woody Guthrie's radical hillbilly show on Depression-era radio to Merle Haggard's "Okie from Muskogee" in the late 1960s. It explores how these migrant musicians and their audiences came to gain a sense of identity through music and mass media, to embrace the New Deal, and to celebrate African American and Mexican American musical influences before turning toward a more conservative outlook. What emerges is a clear picture of how important Southern California was to country music and how country music helped shape the politics and culture of Southern California and of the nation. Peter La Chapelle is Assistant Professor of History at Nevada State College in Henderson, Nevada.